A good cleanser is the base of every great skincare routine. Cleansing is essential for removing dirt, grime and oil that builds up on the skin. But, what about double cleansing? Is it more beneficial than regular cleansing? Here are a few reasons why you’ll want to incorporate double cleansing into your skincare regime. Double cleansing is perfect for your night time regime. 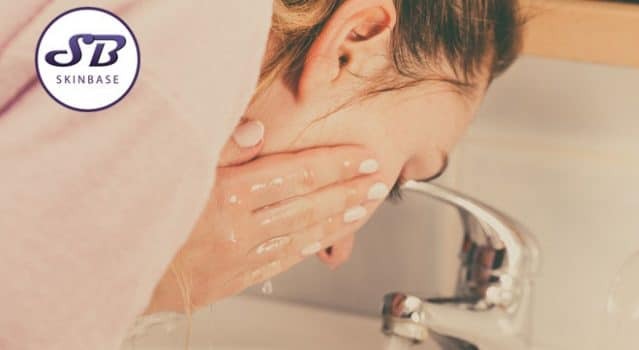 A double cleanse involves using two products; a pre-cleanser, usually in the form or an oil or balm, followed by a cream cleanser, cleansing gel or milk cleanser. As oil attracts oil like sebum and makeup, you need to apply an oil cleaner first. Gently apply the cleanser all over your face, including the eye area. Don’t forget to cleanse your neck too. Rinse the cleanser with warm running water. Next, use a water-based cleanser to remove other impurities and remnants of the oil. This cleanser can be tailored towards your skin type, such as a clay based product for acne or oily skin, or a creamy cleanser to nourish dry skin. Double cleansing offers a range of benefits for the skin. It’s the ideal way to thoroughly remove all your makeup at the end of the day. Unlike harsh products, a double regime involving an oil and cream cleanser won’t strip your skin of its natural oils. The second step ensures any remaining makeup, grime or oil is gently removed. It can help acne sufferers as it helps to eliminate debris from your pores. 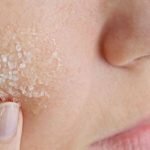 When your pores are blocked with sebum, makeup, dirt and sweat, a flare-up of blemishes can occur. So, by adopting a double cleansing routine, you’ll help to keep your skin clear and radiant. Using a double cleansing routine removes impurities like oil and dead skin cells which allows follow-up products to penetrate the skin more effectively. Give double cleansing a try and see how your skin improves with this easy, yet efficient step.